Do you love to paint your nails in crazy clashing colours or subtle sophisticated shades? Whatever takes your fancy you have found the right place so come on in, everyone is welcome. Today's post is slightly different to my typical nail related posts as I have been lucky enough to have been nominated for the Liebster Award by the lovely Megan from Meganails who has a lovely blog about all things to do with nails so if you haven't already you should definitely check out her blog HERE if you love everything to do with nails then you will definitely love her blog...I know I do! 1) Each person tagged must post 11 things about themselves. 2) They must also answer the 11 questions that the "tagger" has set them. 3) They must then choose 11 blogger to give the award to. 4) Then you must make up 11 new questions to ask your nominated bloggers. 5) Then you must let the bloggers nominated know on their blog. Hopefully that is all a bit clearer now and we can get onto the rest of the tag. 1) I love nail varnish (which should come as no surprise) and like figuring out new designs and colour combinations when ever I can. 2) I don't see why people feel the need to bite their nails (never have, never will). 3) When my nail varnish begins to chip, I can only let it to a certain extent, there is always a point where I have to remove it before it becomes to bad. 4) I prefer to use nail varnish removing liquid when taking off my nail varnish. 5) Whenever I use red nail varnish I tend to go outside the edge of my nail, more than any other colour nail varnish. 6) I go through nail varnish phases where I will love a certain colour and wear it non stop until I find one to replace it. 7) I have those polishes that you have no idea why you brought them, never use them, that just sit at the back of my cupboard, but I can't bear to throw away, because one day I might use it. 8) I can paint my nails easily but find it quite tricky to paint other peoples. 9) I have certain nail varnishes which I find hard to wear on my finger nails but love to wear on my toes. 10) If one of my nails break, I try to make the rest of my nails a similar shape to try and hide the fact that one of them has broken. 11) I am quite impatient when waiting for my nails to try and always end up ruining at least one nail by smudging it before its dry. I came across blogs by accident and loved reading reviews and tips from beauty bloggers. I started reading fashion and beauty ones and then fell into the world of nail varnish blogging. I loved that other people liked nail varnish as much as I did, so I felt that I would give it a go, nothing ventured, nothing gained as they say. 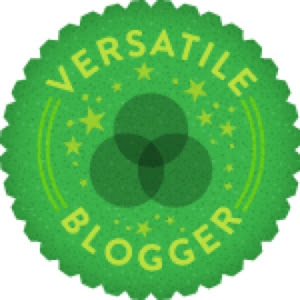 What is your goal in blogging? To tell anyone that is as interested in nail varnish and nail products as I am, about products and designs that I have been trying out recently. Not too long and not too short somewhere in between. This is a tricky one...I don't think I could actually choose because I like trying out a lot of products from lots of brands so its hard to decide (I'm just like a kid in a candy shop when it comes to nail varnish...there are just too many to choose one). If you could only wear one polish for the whole year, what would it be? Another tricky question! I change my favourite polishes so often, especially depending on the season so I guess it would have to be one that can be worn for every occasion (a lime green might look perfect in summer but in the middle of december may not be the most fitting) so I guess I would have to go for Lanesbough Place because it is a fairly neutral gold colour that could be dressed up or down depending on the season or event. What basecoat and top coat do you use? Again this varies a lot because when I finish one I tend to try a new product until I think I have found the prefect one. What is the maximum amount you would spend on one polish? In my opinion this would depend on the colour of the polish because if it was a one of a kind product that was totally unique then I would be prepared to pay more than if it was a polish that I would only where once in a blue moon and just sit at the back of my cupboard. I have spent £15 in the past so I guess up to that amount, probably not much more, and as I said it would definitely depend on the product itself. What was your best polish bargain? My Sally Hansen polish in "Orange you Cute" which I picked up from Poundland. What is your most expensive nail polish in your collection? I think it was the Crown Court Limited Edition Nails Inc Polish with the jewelled cap which I got about 2 years ago which I think cost around £15. What is your biggest Lemming? I'm not sure on this one either...these questions are so tricky! When did you get into nail polish? I guess when I was younger I was never really into makeup as much as some of my friends and so I found nail varnish and whilst they would change their makeup look for their outfit I would change my nail varnish. Over time I enjoyed experimenting with nail varnish and look where I have ended up...with a blog all about nails! And my questions to you are..
1) What nail polish are you wear at the moment? 2) If you could only wear one colour nail varnish for the rest of your life what would it be? 3) What colour do you have most of in your collection? 4) As Autumn is fast approaching, what is your favourite nail colour for autumn? 5) Why did you decide to start blogging? 6) If you could only use one brand of nail products for the rest of your life, what brand would you pick? 7) Would you rather leave the house with messy hair or messy nails? 8) What is your go to favourite colour for everyday? 9) What is your most special polish and why? 10) What is the one polish in your collection that you hardly ever wear, but could never throw away? 11) What nail varnishes are currently top of your wish list? I can't tag everyone but if you would like to have a go at these questions feel free to answer them on your blog and leave the link in the comments below. I would love to know your answer to my questions. Thank you again to Megan for nominating me, its an honour to be nominated and thank you to all of you for subscribing, it means the world to me! Question 7 and 9= Could not agree with you more!! 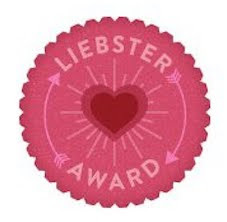 I am lucky enough to have been nominated for the Liebster Award in August 2012.